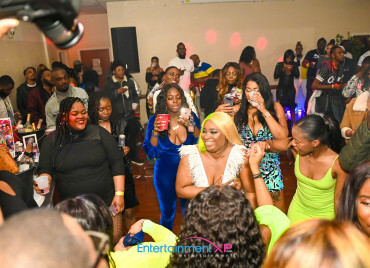 It turns out ‘Equal Rights’ was the reason for Foota Hype and Ishawna’s messy breakup. The “Restraining Order” singer called it quits with the Controversial Dancehall selector/producer in 2014 after dating for over nine years. Pharrell Williams has a lot of accomplishments under his belt- from his ventures in music to fashion, and now he’s added something else to the list, becoming the first man to star in a Chanel bag campaign. Shortly after Melanie Fiona remixed Kendrick Lamar’s “LOYALTY.,” Ne-Yo picks a different DAMN. banger to flip. Shenseea has finally broken her silence relating to the ongoing drama with Vybz Kartel. 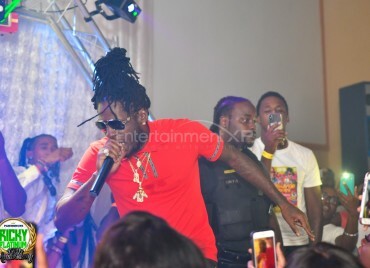 On Monday the self-proclaimed WorlBoss shocked Dancehall fans when he axed the fast-rising Romeich Entertainment artist from the banger produced by So Unique Records and revealed the original tack. Mary J. Blige is giving you a peek into her life. As she gears up for her new album Strength of a Woman on April 28, the Queen of Hip-Hop Soul is chronicling the emotional process in her documentary, The Making Of: Strength of a Woman. Shenseea has released a new single to address her long list of controversy. The fast-rising Dancehall artist has been hit with multiple rumors, jabs and rivalry since entering the music industry late summer 2016. Video: Sean Paul feat. Migos "Body"
Sean Paul wastes no time. Immediately succeeding his Migos-assisted single “Body,” the Jamaican crooner hits the streets of Miami for the infectious song’s music video. Mary J. Blige New Video "Strength of a Woman"
Hot off the release of her latest album, Mary J. Blige shows the “Strength of a Woman” in her empowering new video. Vybz Kartel has removed the original ‘Loodi’ track from his YouTube account. The controversial track was deleted just a few minutes ago after racking up over 400,000 streams on VEVO since its release on Monday. Chris Brown is bringing his Life to theaters. The R&B superstar’s long-awaited documentary is scheduled for release this summer.